Drs. Kieren Marr and Mukesh Jain recently marked the loss of Donald W. Seldin, MD, a physician-scientist giant, with a tribute to his career and ASCI service, including a photo and video collection. This week, I’m writing to highlight the Society’s recognition of Dr. Seldin through the Donald Seldin~Holly Smith Award for Pioneering Research. Christian P. Schaaf, MD, PhD (inaugural recipient, 2016). He is Professor, Clinical Genomics, University of Cologne, Germany, and Visiting Professor, Baylor College of Medicine. Omar I. Abdel-Wahab, MD (2017). He is an Assistant Member in the Human Oncology and Pathogenesis Program (HOPP) and an Attending Physician on the Leukemia Service in the Department of Medicine at Memorial Sloan Kettering Cancer Center. Anna Greka, MD, PhD (co-recipient, 2018). She is Assistant Professor at Harvard Medical School; Institute Member at the Broad Institute of MIT and Harvard; and an Associate Physician at Brigham and Women’s Hospital. Deepak Nijhawan, MD, PhD (co-recipient, 2018). He is Assistant Professor in the Departments of Biochemistry and Hematology and Oncology at UT Southwestern Medical Center. More information about all Award recipients is available here. As the ASCI was bringing the Award to fruition, we were heartened by generous contributions from colleagues, friends, and trainees of Drs. Seldin and Smith to support development of the Award. Together, these contributions totaled nearly $500,000. In order to reach an endowment level for the Award, we hope ultimately to reach at least $750,000. This will allow us to support young physician-scientists on exemplary career paths and to honor the outstanding legacies of Drs. Seldin and Smith well into the future. I hope that as you reflect on Dr. Seldin’s support of physician-scientists and the ASCI, you will consider a contribution in his memory. We will highlight all memorial contributions on the ASCI’s homepage over the coming months, to recognize fully each donor’s generosity and commitment to the physician-scientist community, and to continue honoring a true legend. Please contact me with any questions. Thank you, as ever, for your consideration and time. The ASCI seeks to support the scientific efforts, educational needs, and clinical aspirations of physician-scientists to improve human health. 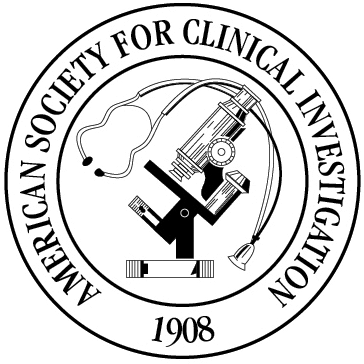 Copyright, The American Society for Clinical Investigation. All rights reserved.